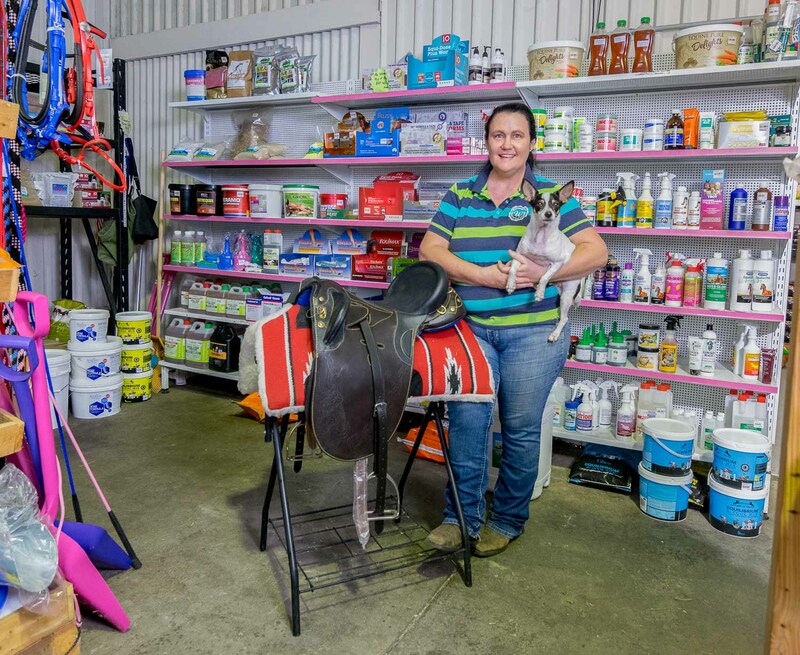 Michelle Lavington doesn’t just love animals, she loves making sure they are being well taken care of, which is one of the reasons why The Feed Shop has become such a successful and popular business. Michelle started the Gordonvale shop eight years ago with a part-time staff member. Today, she has a staff of eight, including her husband who left his job in the Navy to work in the businesses. The Feed Shop has a huge range of quality stock feed as well as a large selection of pet food and supplies for horses, cats, dogs, chickens, fish and even reptiles. It also stocks a range of saddlery goods, veterinary products, electric fence supplies and clothing. Old-fashioned attentive customer service, welcoming staff trained with exceptional product knowledge and a fantastic home-delivery pet food service adds to the popularity of the shop. While she loves animals (she has horses, goats, chickens, cats and dogs at home), she’s equally passionate about supporting community activities and ensures The Feed Shop sponsors, donates and supports various community groups.